This privacy statement discloses the privacy practices and the site and services they run under Deeside.com.  Deeside.com is the sole owner of the information collected on the website and associated services. We will not sell, share, or rent this information to others in ways different from what is disclosed in this statement, we don’t spam and will aim not to do evil with your information. Deeside.com collects information from our users at several different points on our website, the main purpose being to ensure that services provided work correctly, and we can provide a useful and informative service to you the user and to source advertising from appropriate companies. We may share non-personally identifiable aggregated information with advertisers or partners. We may disclose aggregated statistics in order to describe our services to prospective partners and advertisers and for other lawful purposes – this usually takes the form of numbers of pageviews in a month or similar. We will not disclose any of your personal information you provide us as part of your registration except when we have your permission or under special circumstances, for example if required by law. We use various bits of internet technology to enable you to login and logout of the website if you take part. Once logged in this technology allows us to make the website uniquely customised to you. Cookies are small bits of data that is stored on your computer or device that you use to access Deeside.com website and some services. It does not contain any personally identifiable information, however while registered it may be used with personal information you provided as part of registration. We sometimes embed tweets, Youtube videos or similar on single article pages that may or may not load a cookie. Although this website only looks to include quality, safe and relevant external links and embedded content, users are advised adopt a policy of caution before clicking any external web links mentioned throughout this website. Due to the nature of the internet we cannot guarantee or verify the contents of any externally linked website despite best efforts. Users should therefore note they click on external links at their own risk. IP addresses of users are used analyse trends, administer the site, and gather broad information for aggregate use. This helps us to understand which parts of our website are most popular, and which (if any) fail, and other tracking. Server log files are ‘rotated’ and deleted on a regular basis by our hosting provider and we have no practicable access to them. Google Analytics is our third party provider and they have informed us they delete data within a reasonable timeframe. This web site may contain links to third party websites. Please bear in mind this privacy statement applies solely to Deeside.com and associated services , so we would advise you to read the third party sites’ policies. Links to such websites are not to be taken as an endorsement of such websites or as a warranty that such websites will be free of viruses or other such items of a destructive nature. If your personally identifiable information changes (such as your name, email address etc), or if you no longer desire our service, we will endeavour to provide a way to correct, update or remove the user’s personal data provided to us. This can be done by contacting us. To get in touch, please use this contact form. Due to the nature of what we do we gather information for the creation of our information / news service, which may include data on individuals. We only do this where there is proper journalistic purposes such as public interest. We seek to comply with the relevant data protection principles where we reasonably can. Our articles are published on this website, and on occasion via our social media channels that may vary over time. Due to the nature of the internet they may also be shared and re-published by third parties outside our control. Our articles make up a valuable historical archive and are searchable either via third party tools or the search function on this site. We do not delete or edit the archives aside for legal reasons, an inaccuracy, or similar valid reason. This site operates several methods for user interaction, including the posting of content. These posts are uploaded by third parties, not us, and have we no intervention or approval nor monitoring. The poster is primarily responsible for the content and consent. We do respond to complaints and have ‘report’ functionality signposted where such content is posted. We have several social media channels where comments and content is also possible to be posted by third parties. 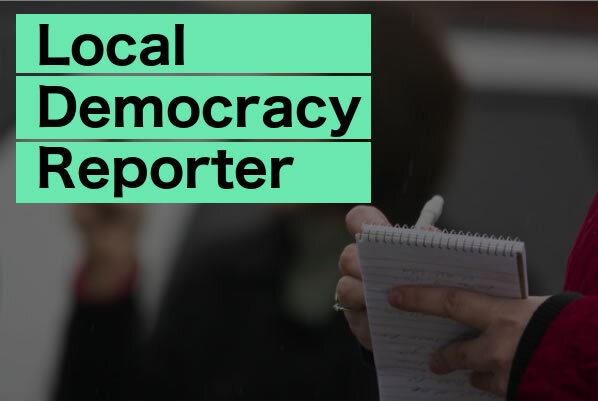 This is also unmonitored and each platform has their own reporting systems, tools and policies in place. Deeside.com is committed to working within and adhering strictly to the Editors Code of Practice. You can read more on our complaints process here. If you wish to contact us click here.